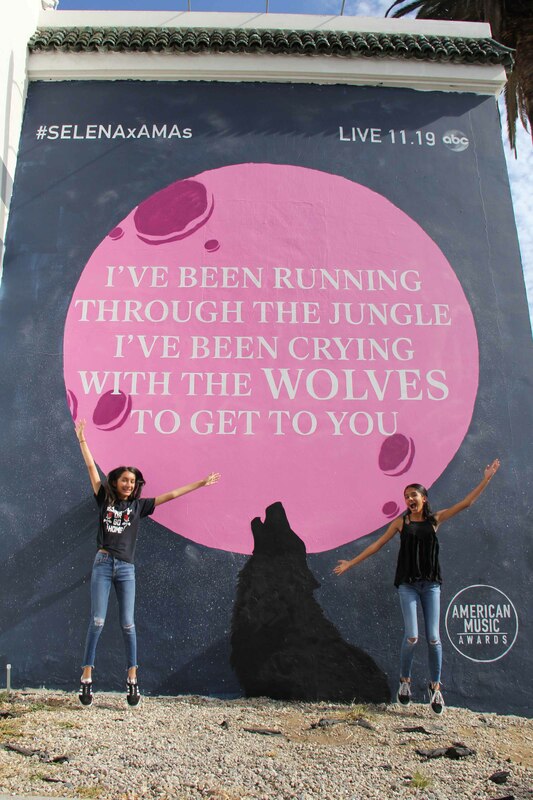 Fans collectively howled in joy after Selena Gomez was announced as one of the performers at the 2017 American Music Awards. 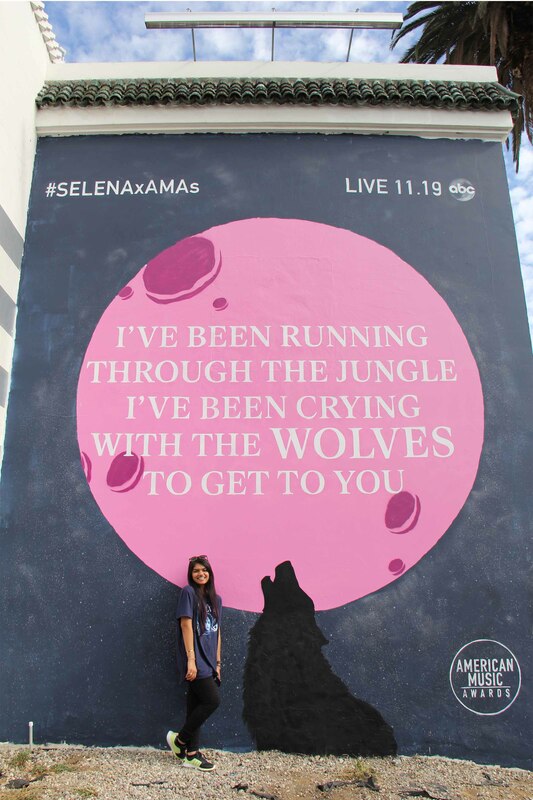 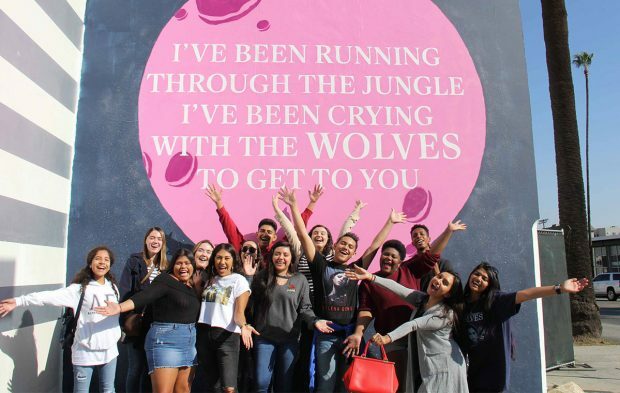 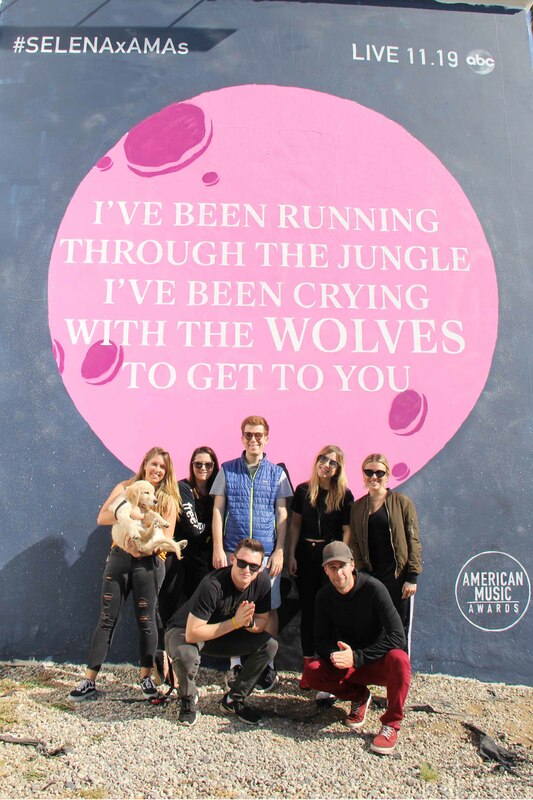 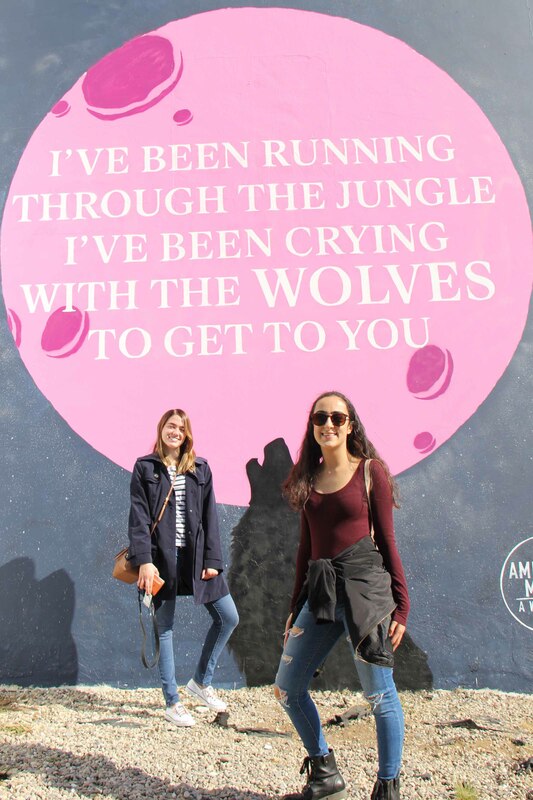 After an epic wall mural featuring her artwork inspired by her single “Wolves” appeared on Sunset Boulevard last week, Selenators organized a meet-up at the wall on Saturday to show their excitement for Gomez’s upcoming performance and to snap photos in front of this amazing artwork. 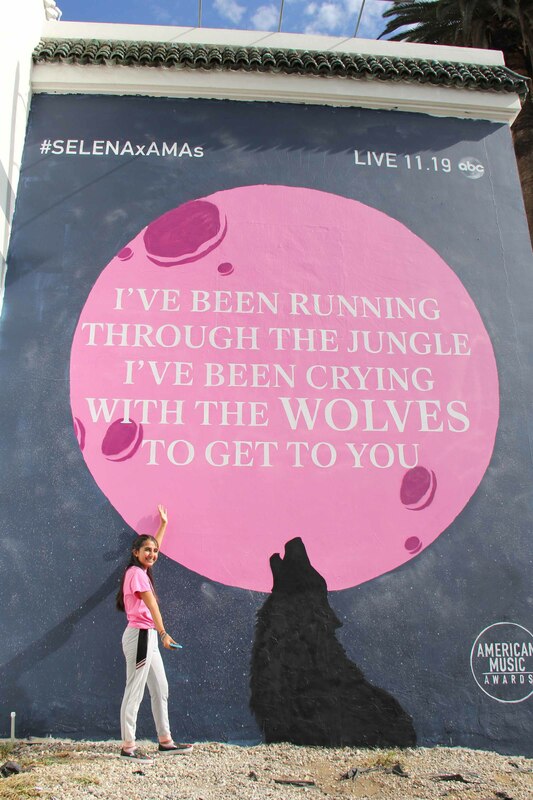 In her 2017 AMAs performance, Gomez will be treating the world to her first live rendition of “Wolves,” a collaboration she worked on with DJ Marshmello. 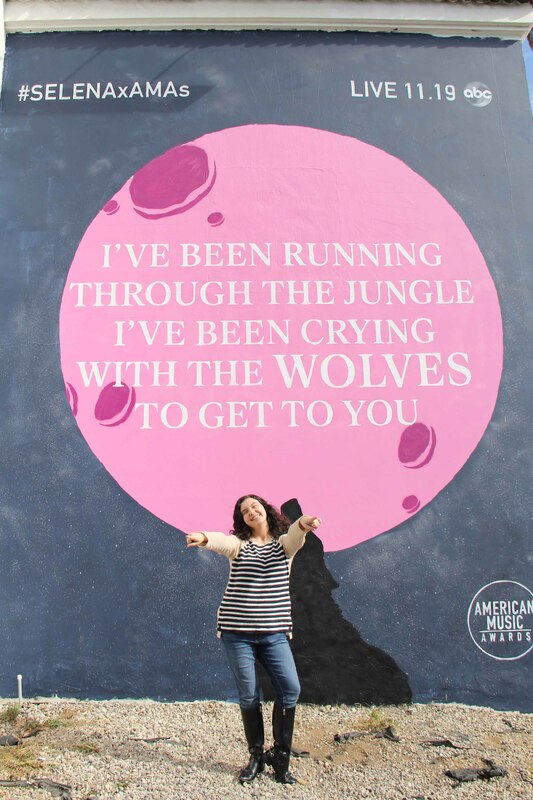 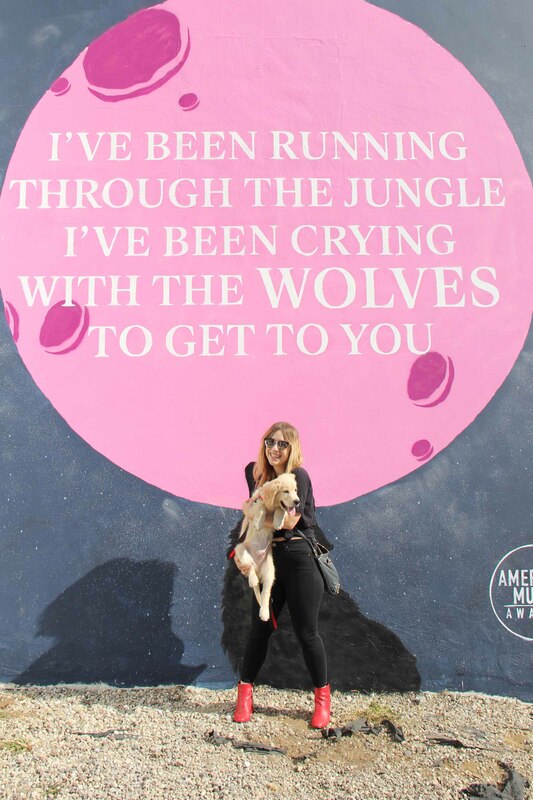 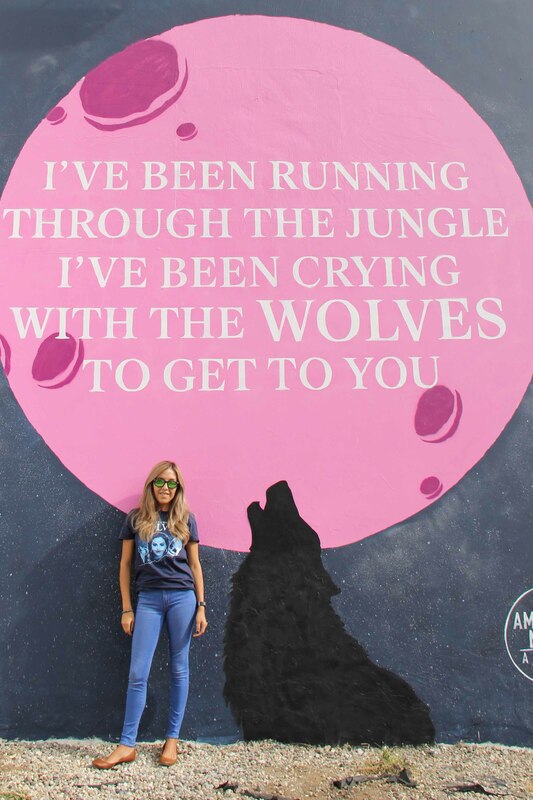 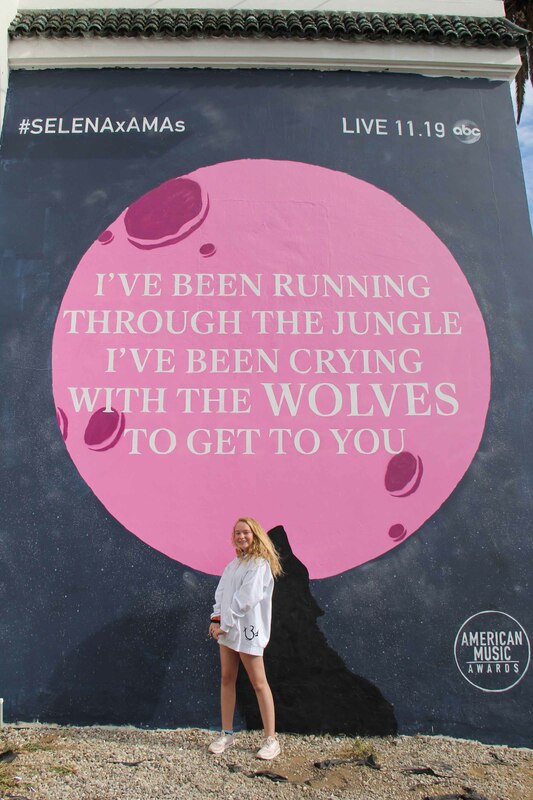 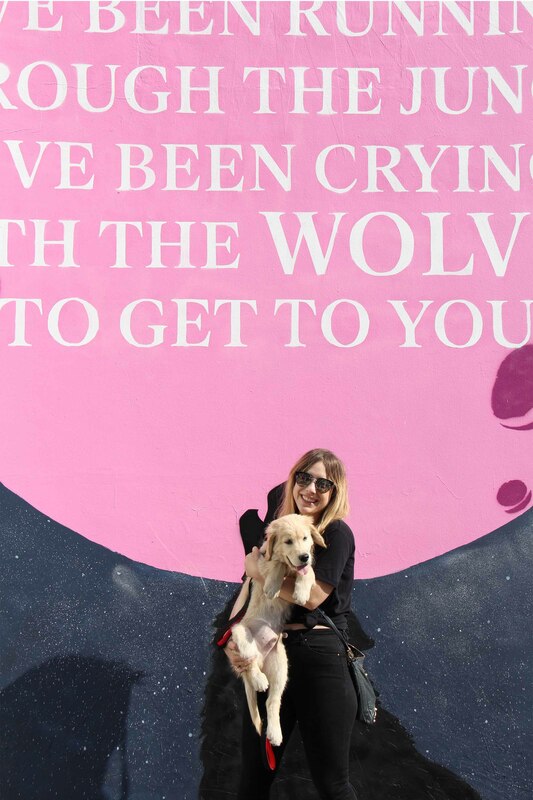 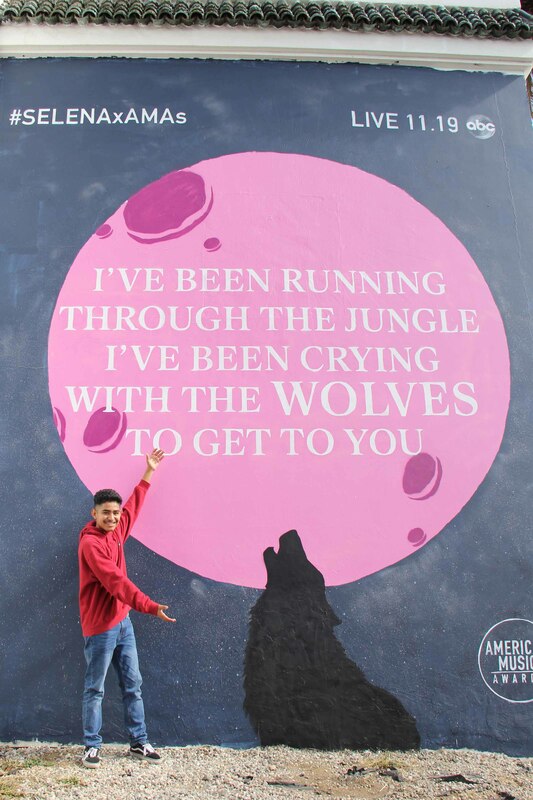 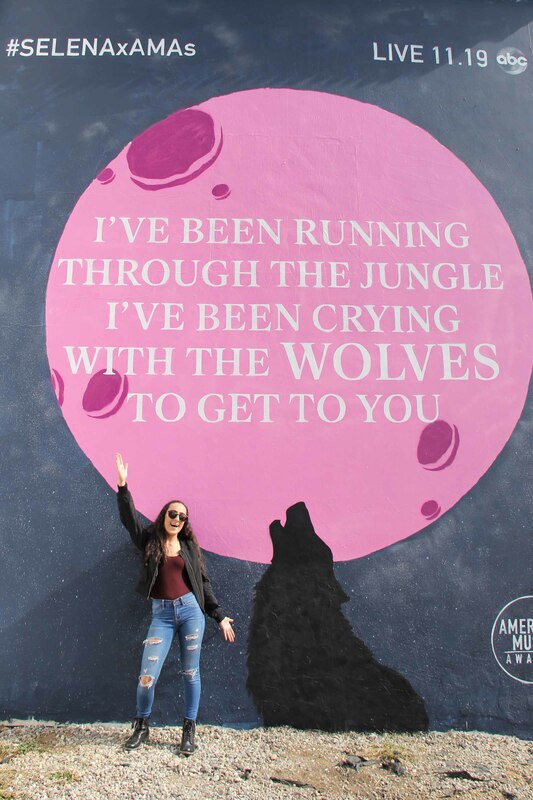 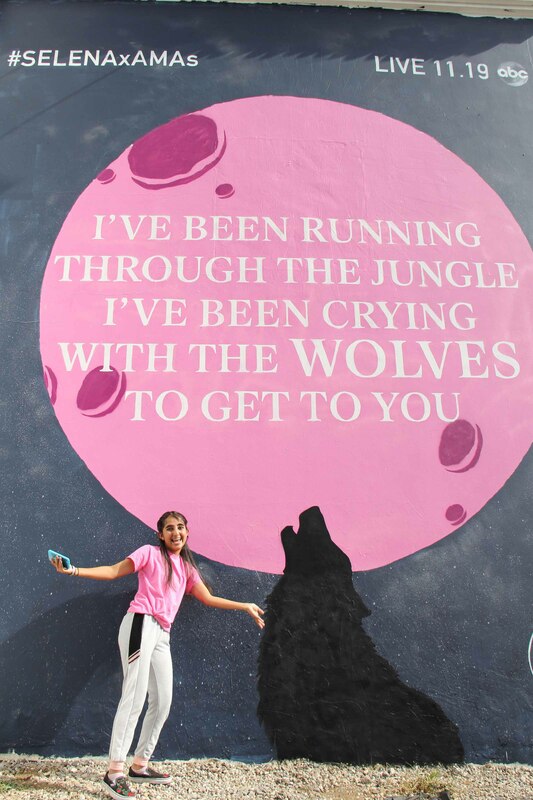 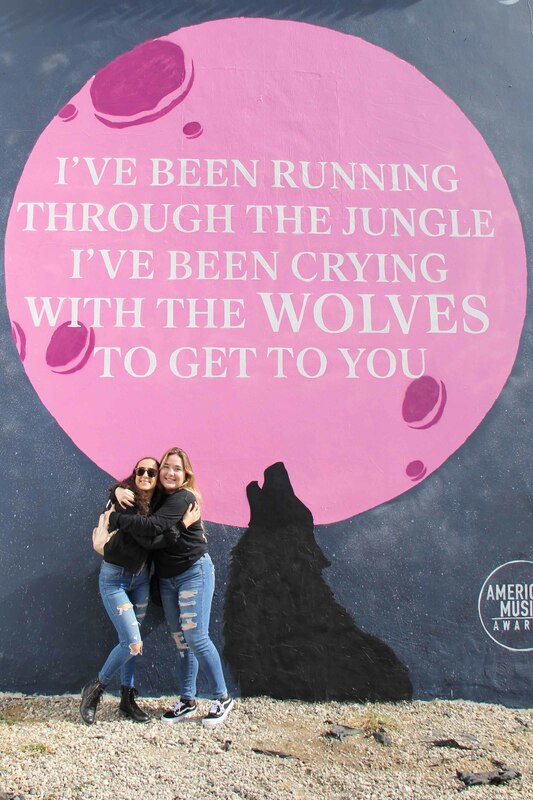 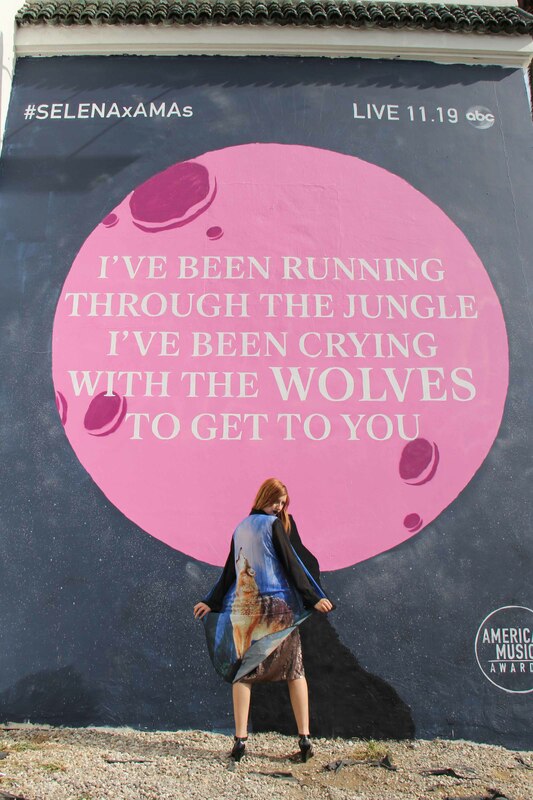 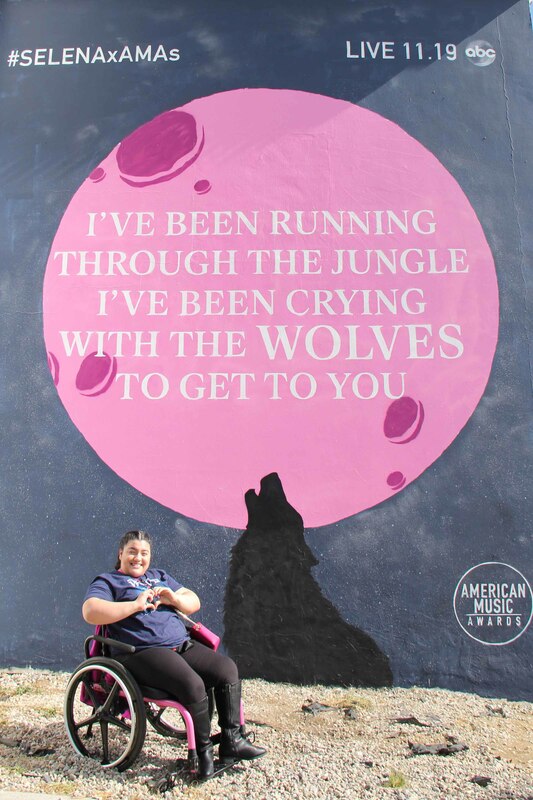 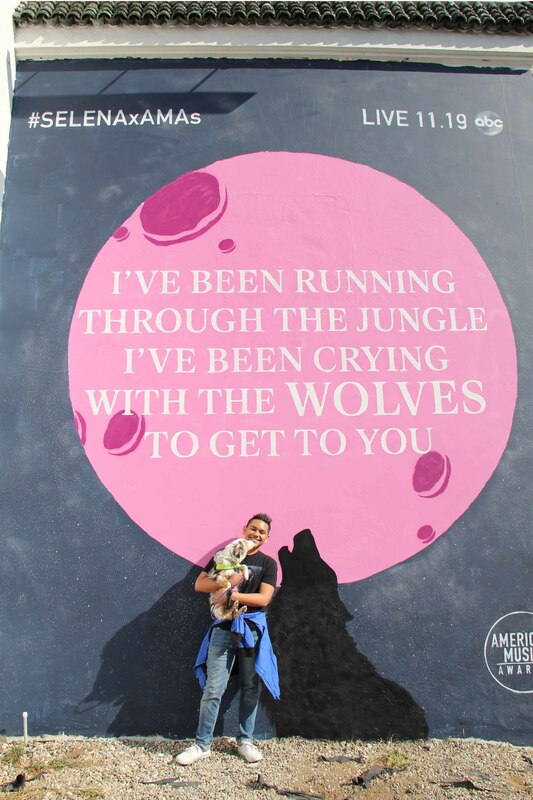 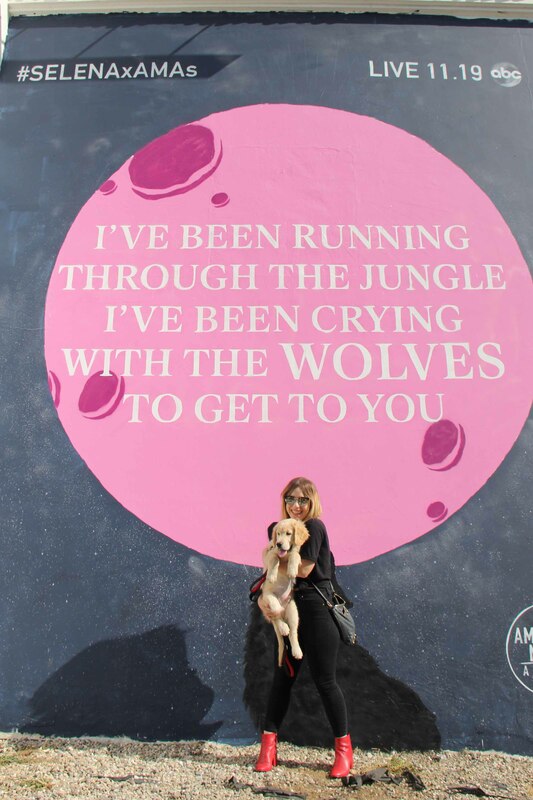 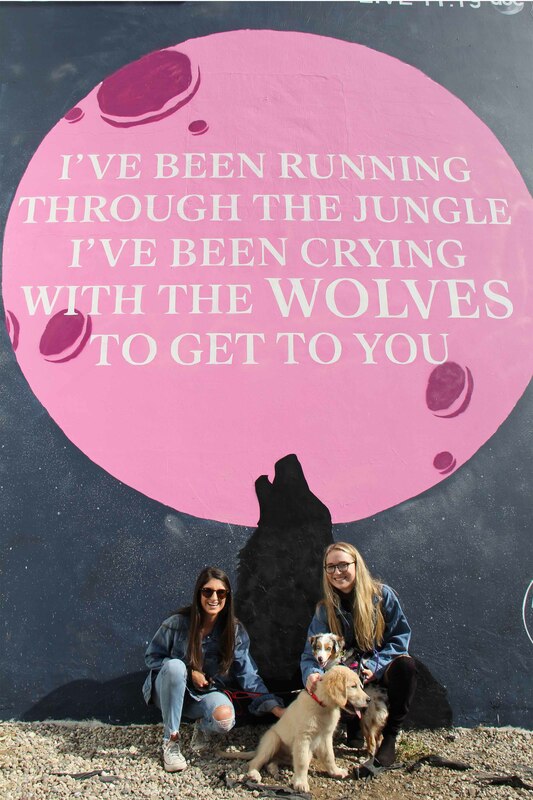 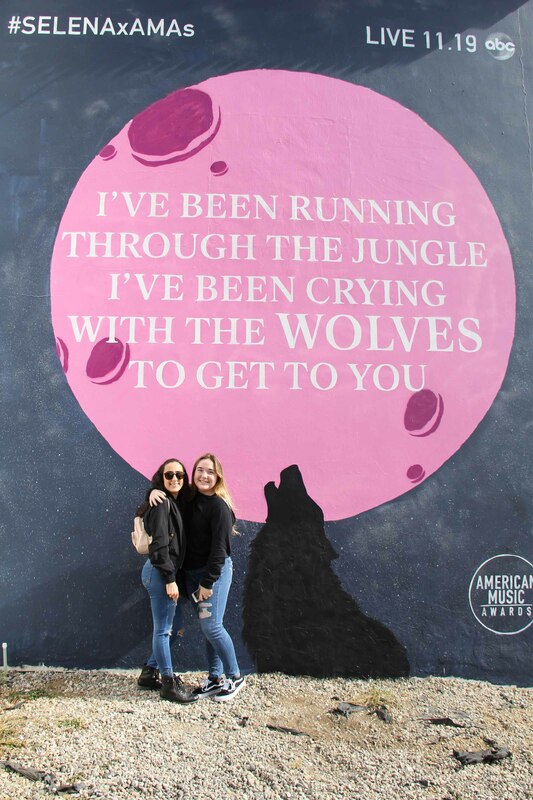 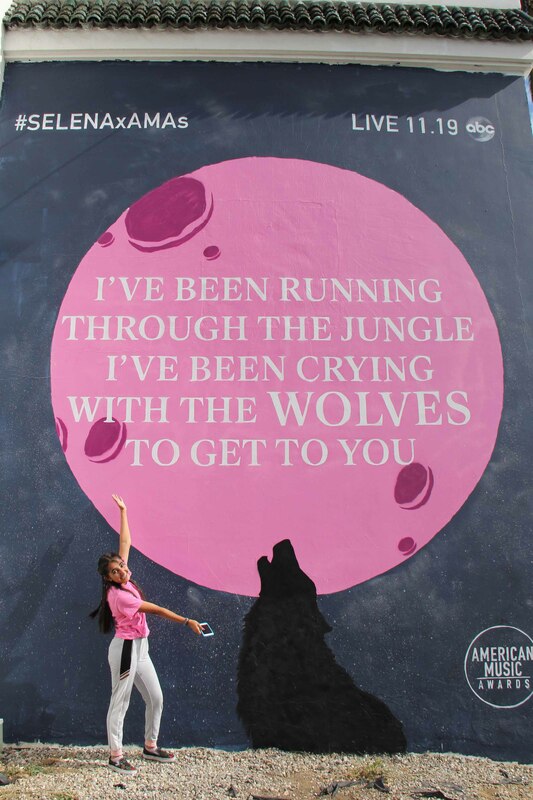 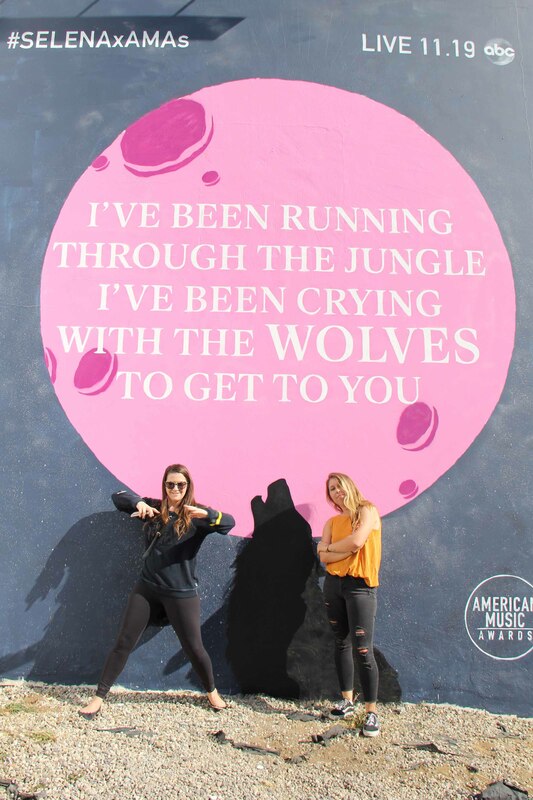 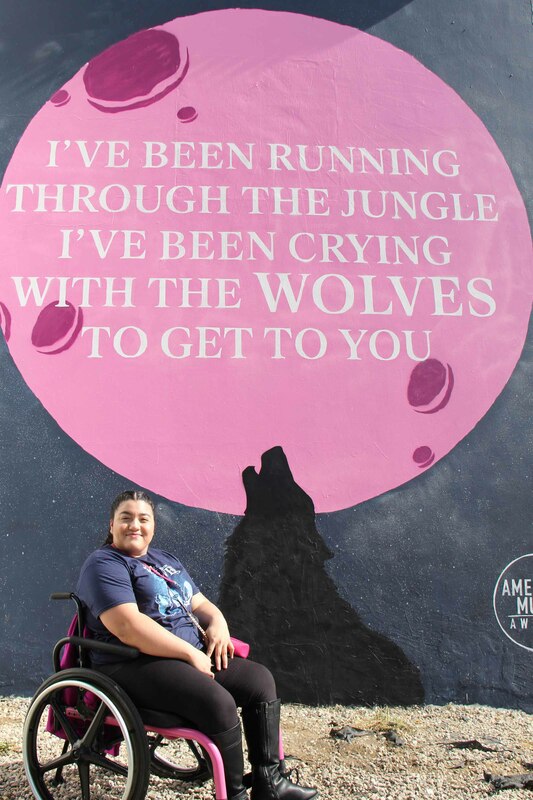 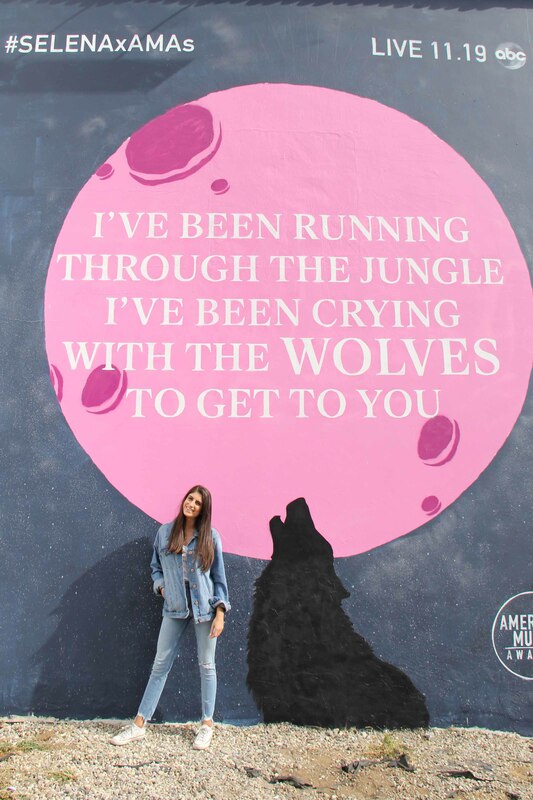 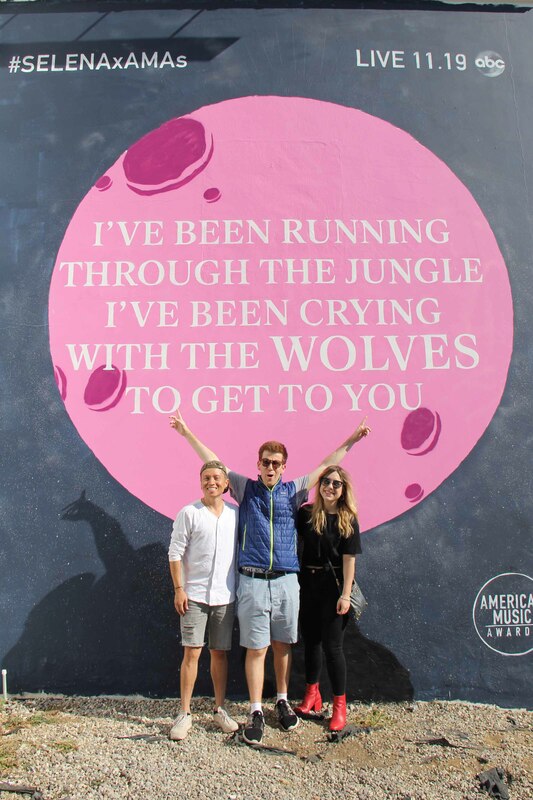 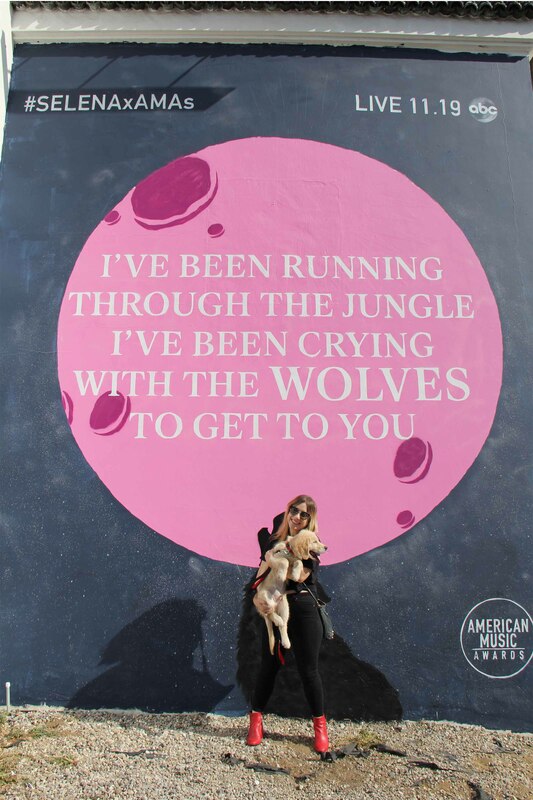 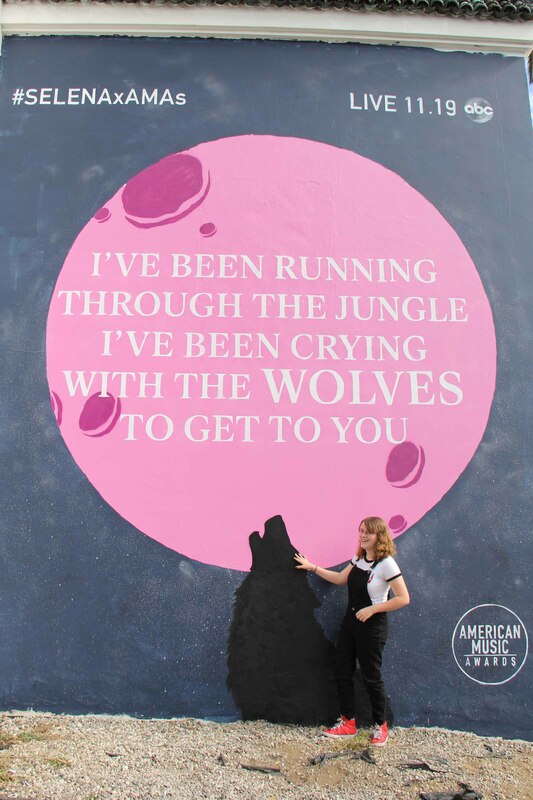 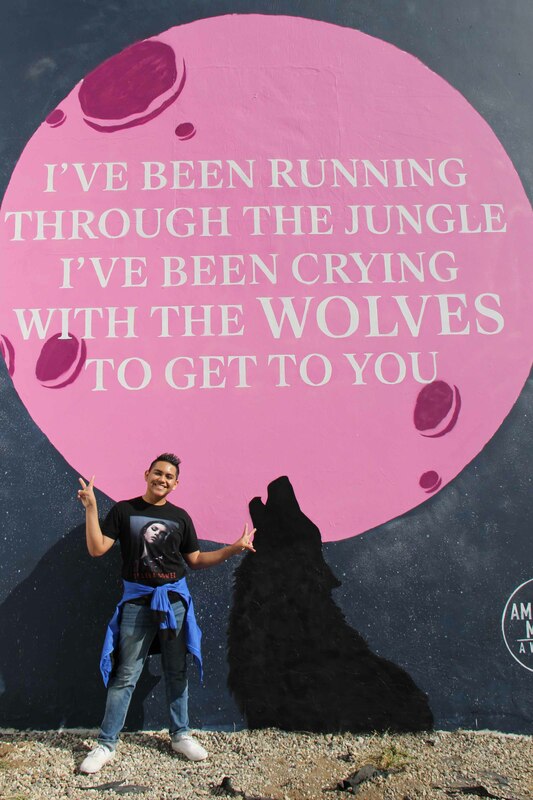 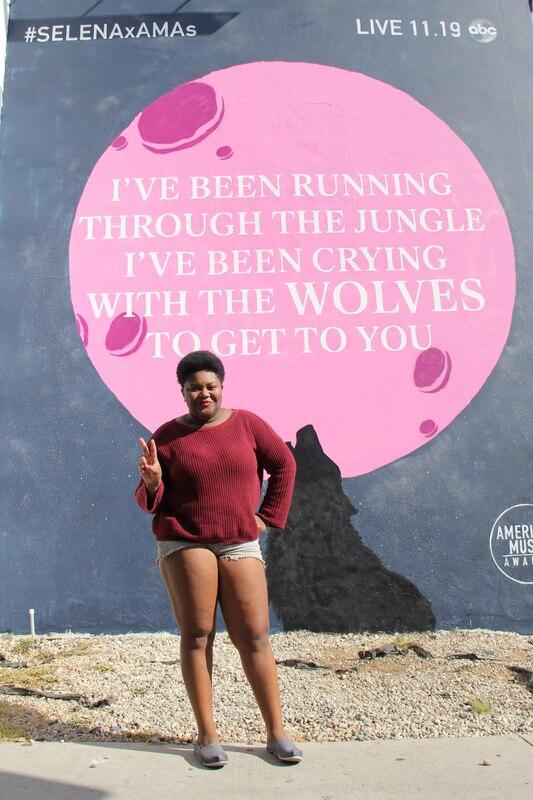 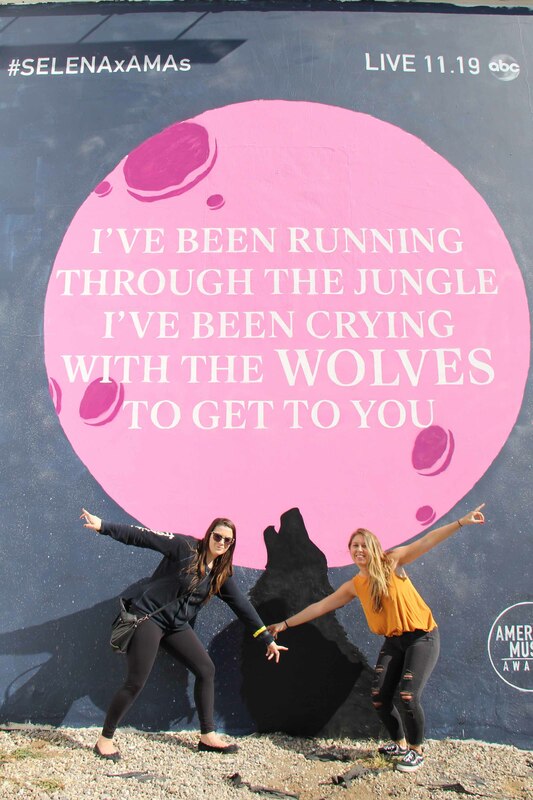 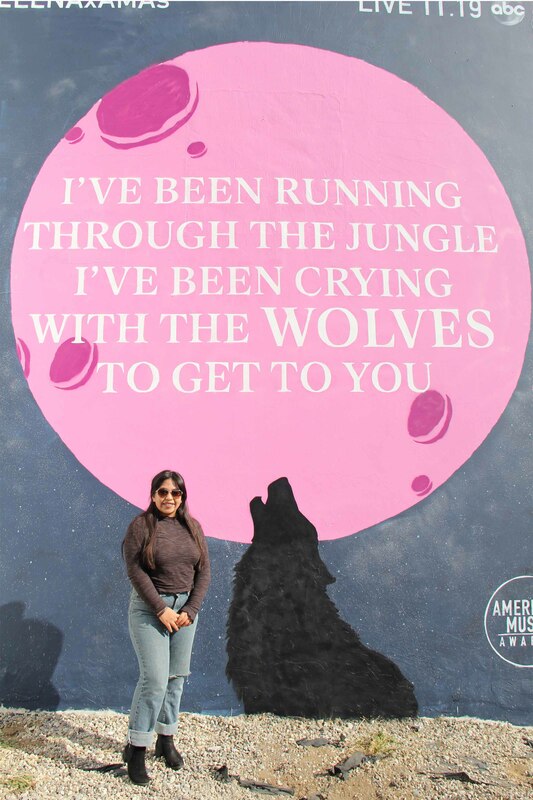 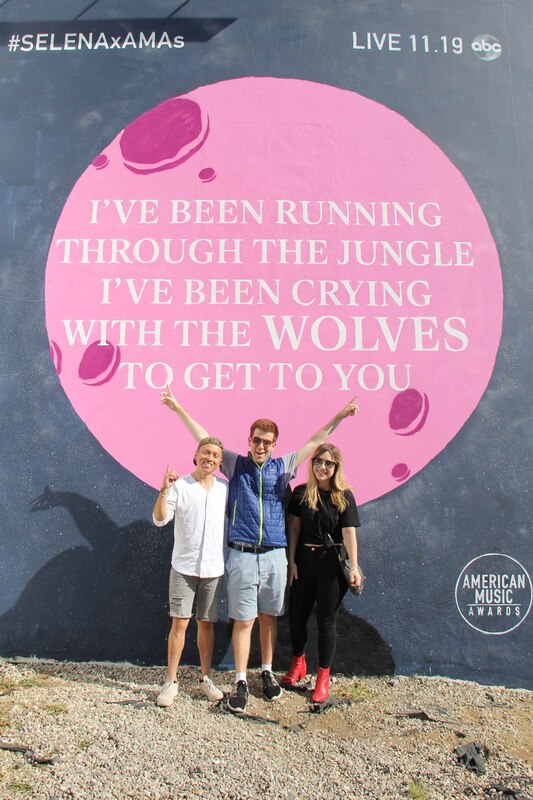 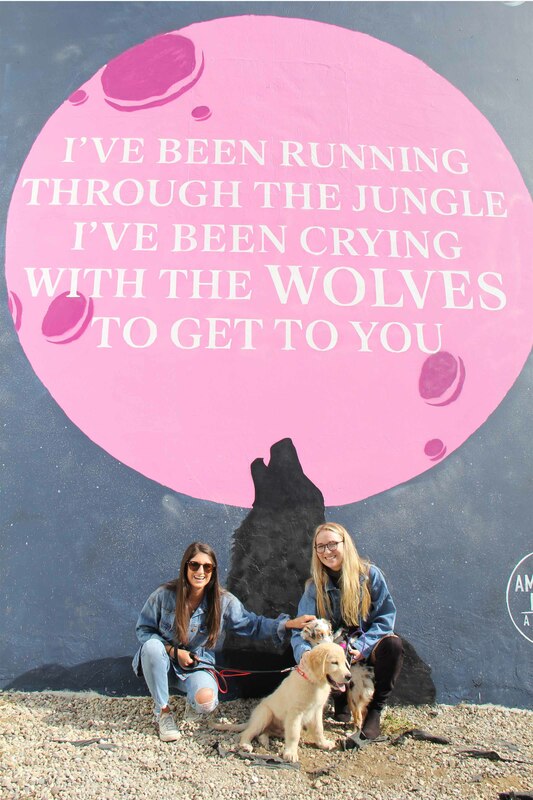 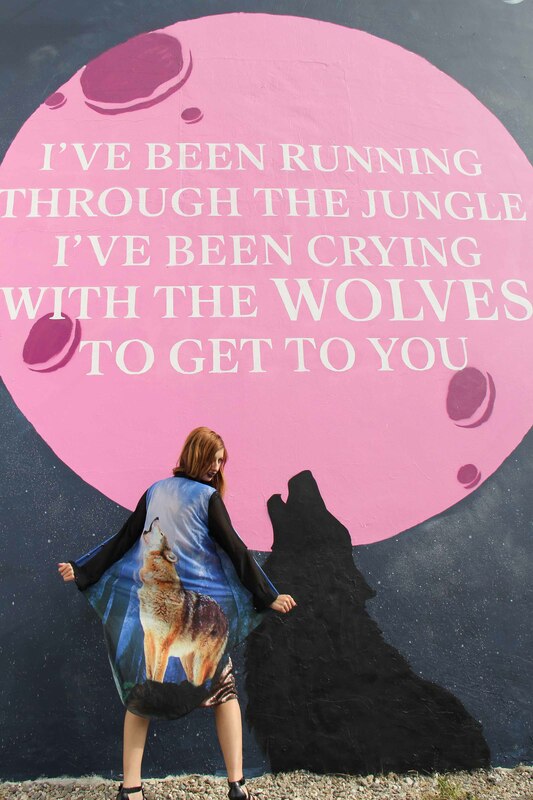 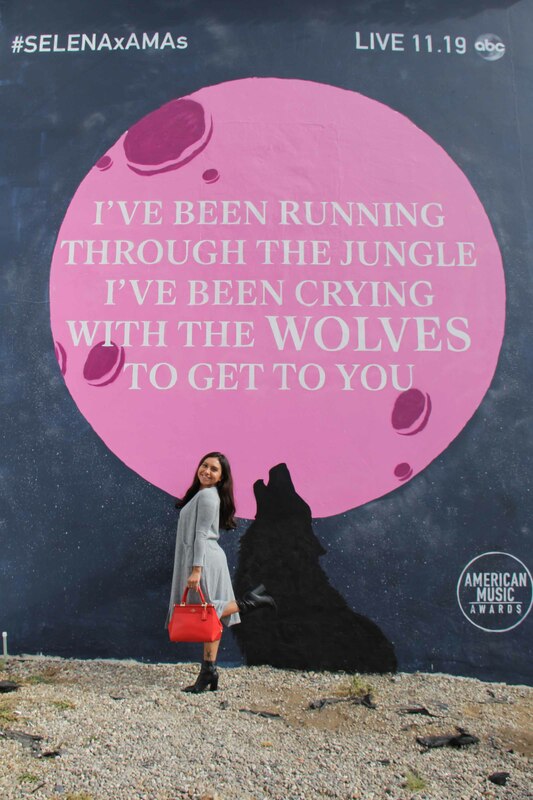 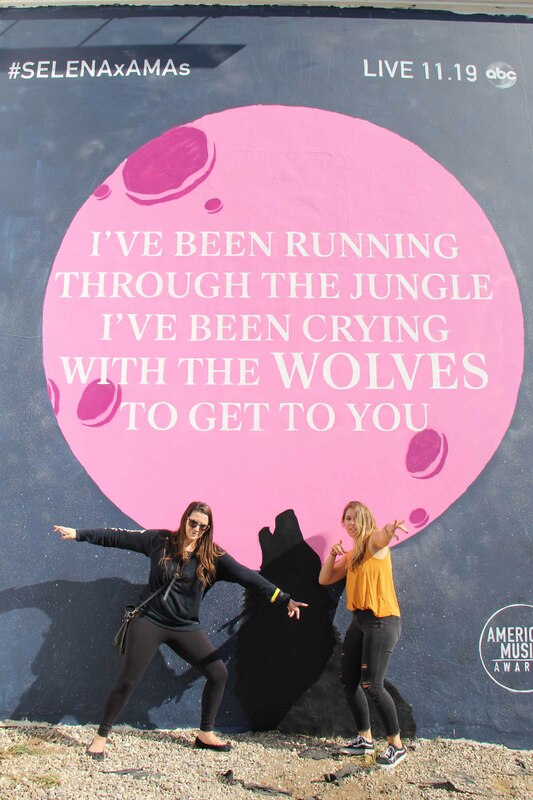 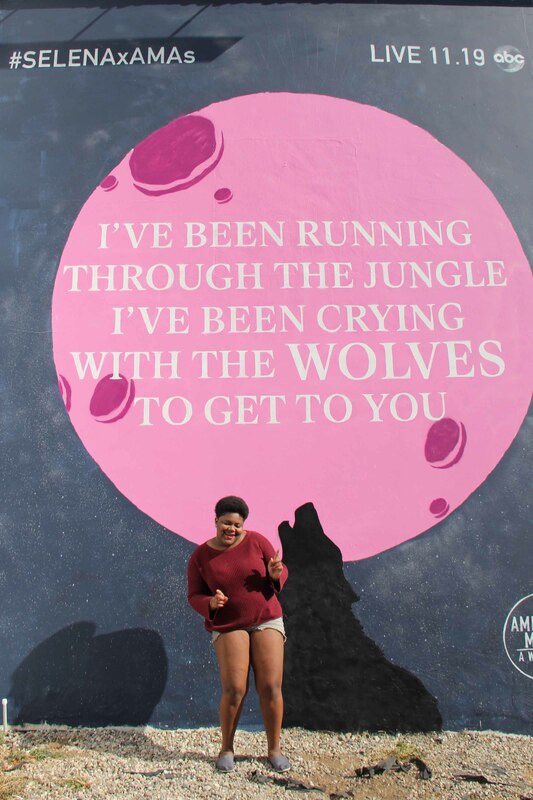 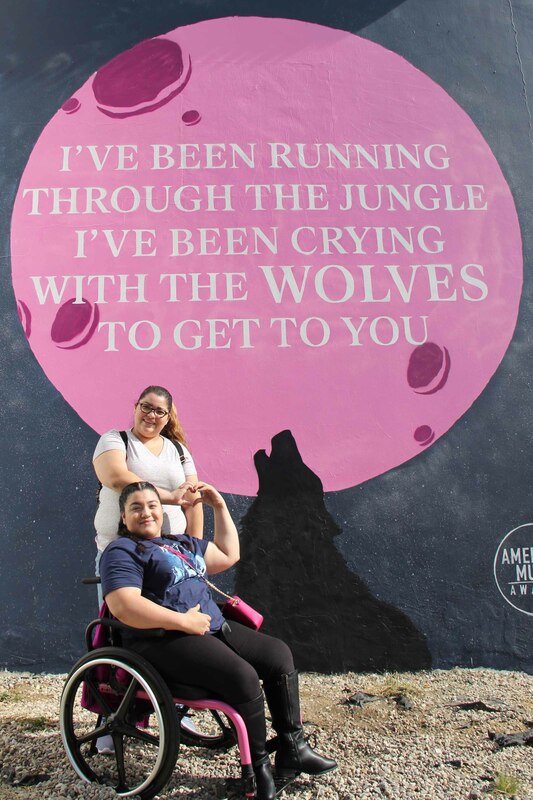 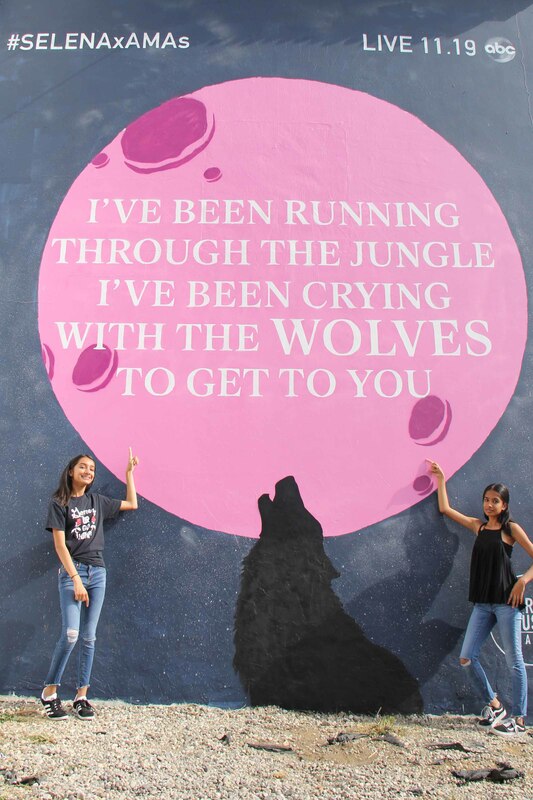 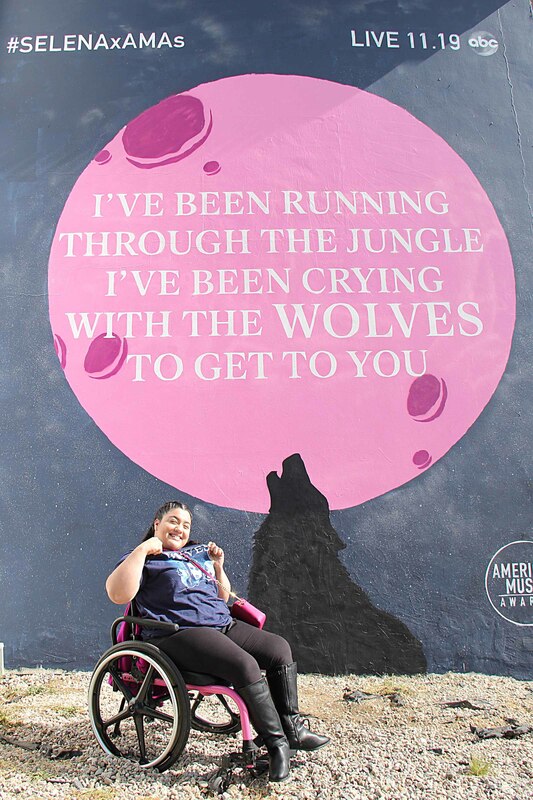 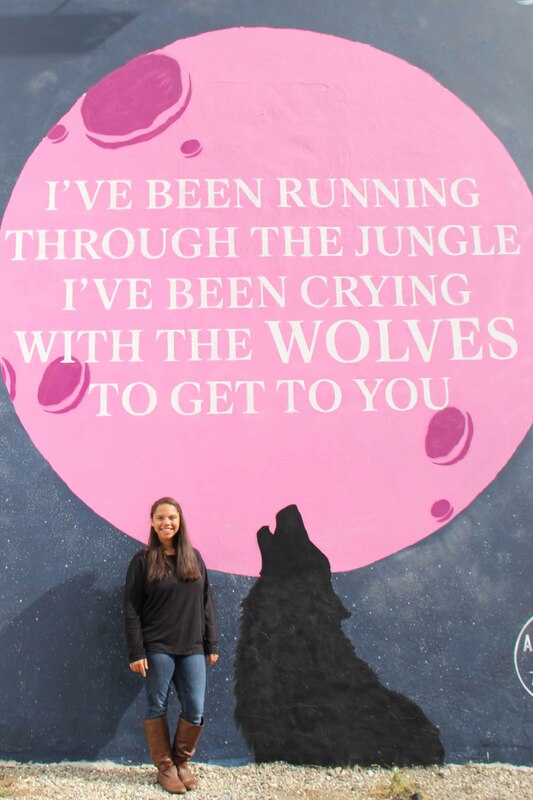 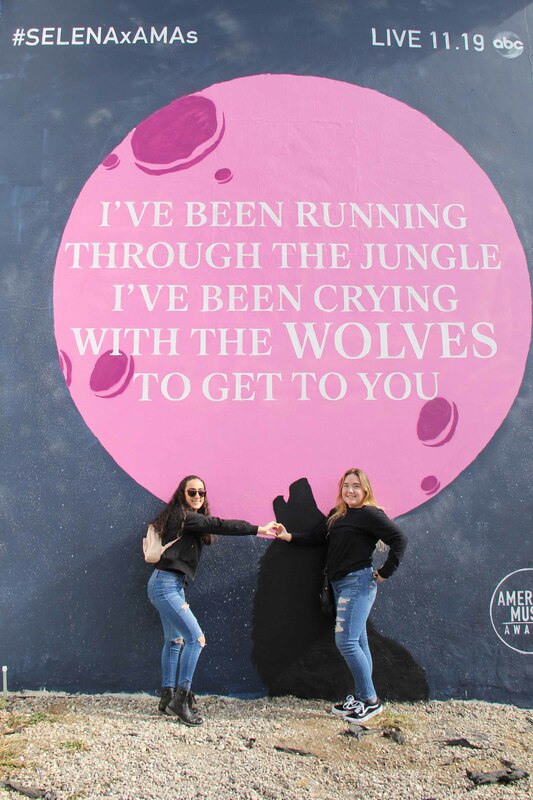 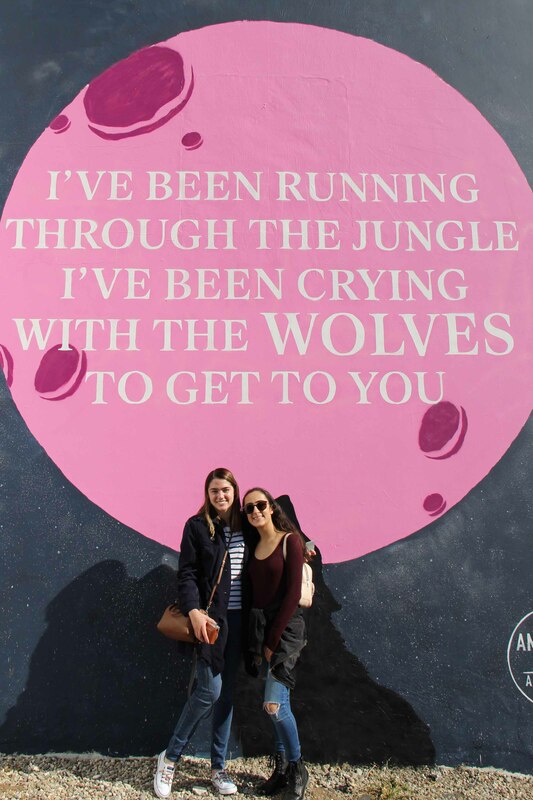 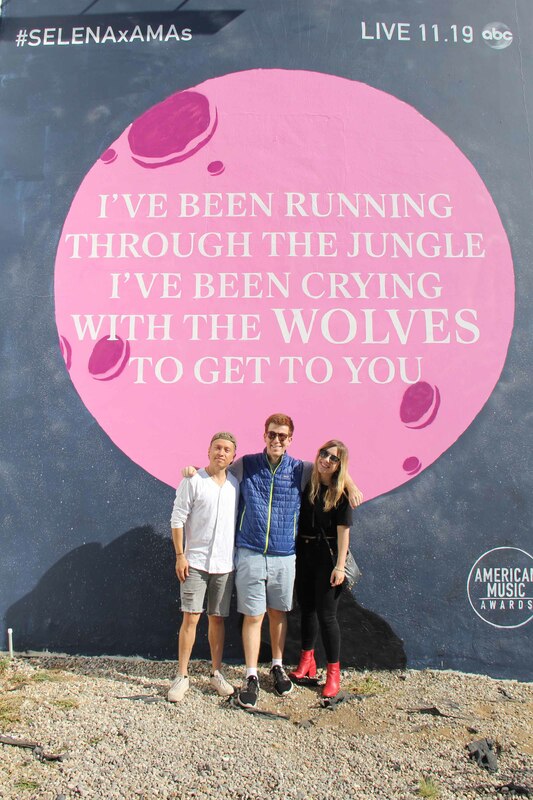 The mural’s full pink moon and lyrics only heighten the anticipation for what is in store for her “Wolves” performance on November 19th. 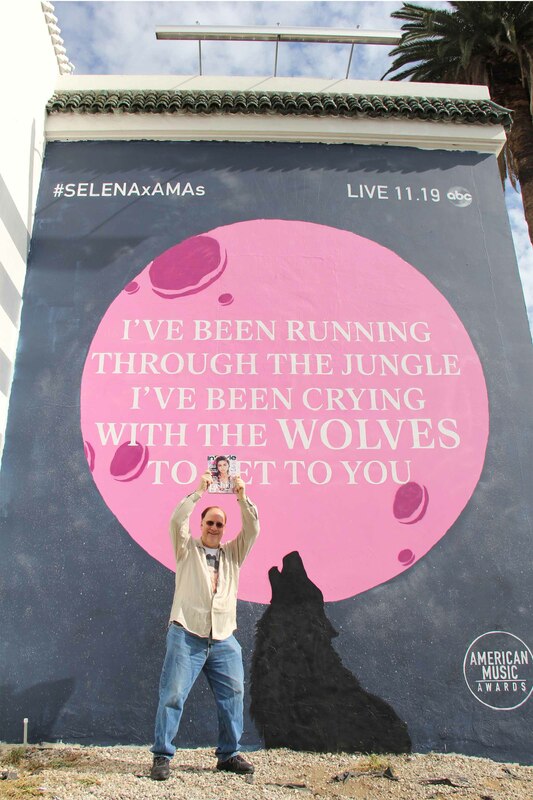 DJ Marshmello also stopped by on Saturday to show his love for Selena. 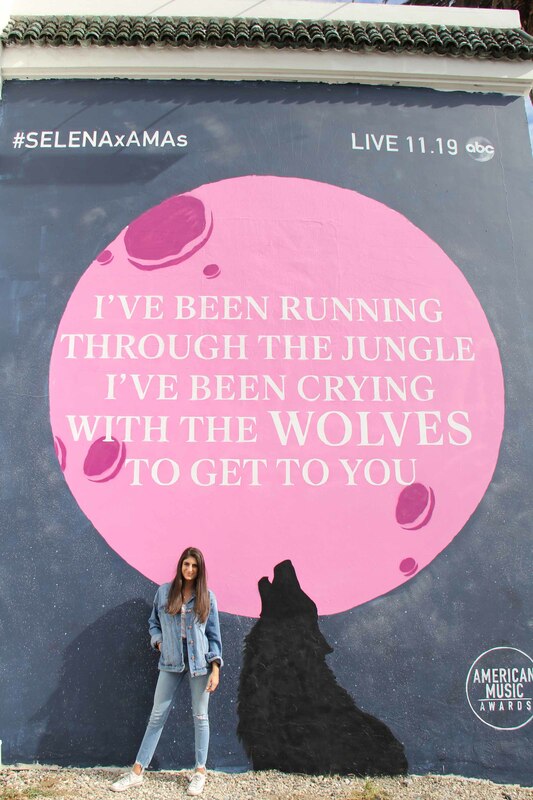 Fans have been showing off their best mural poses day and night on social media with the hashtag #SELENAxAMAs. 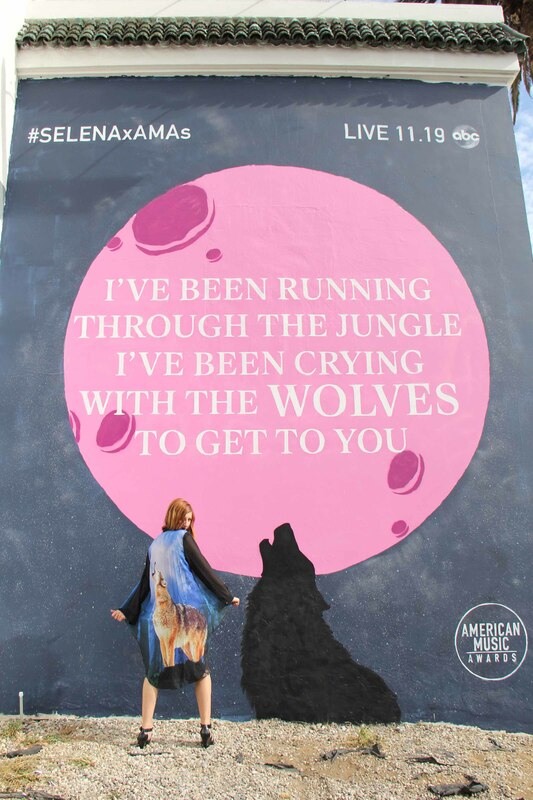 The mural is located at Sunset Blvd and Stanley Ave in Los Angeles. 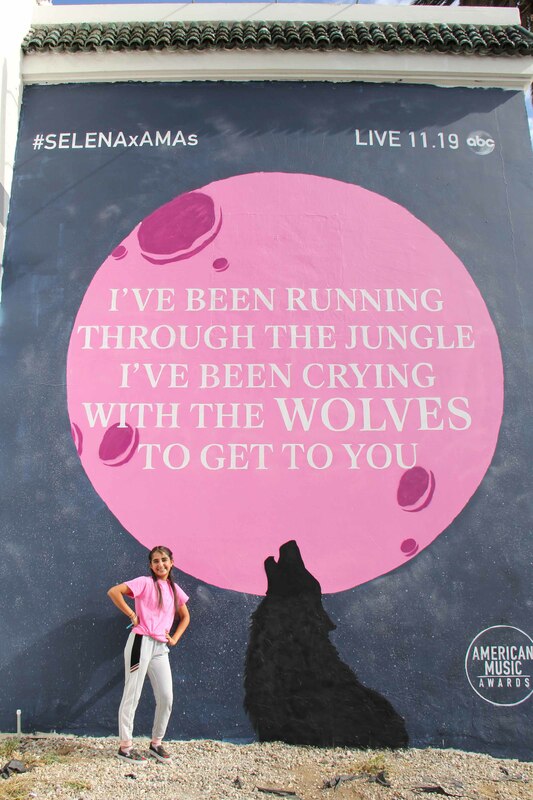 Watch Selena Gomez roar into action with “Wolves” on the AMAs on November 19. 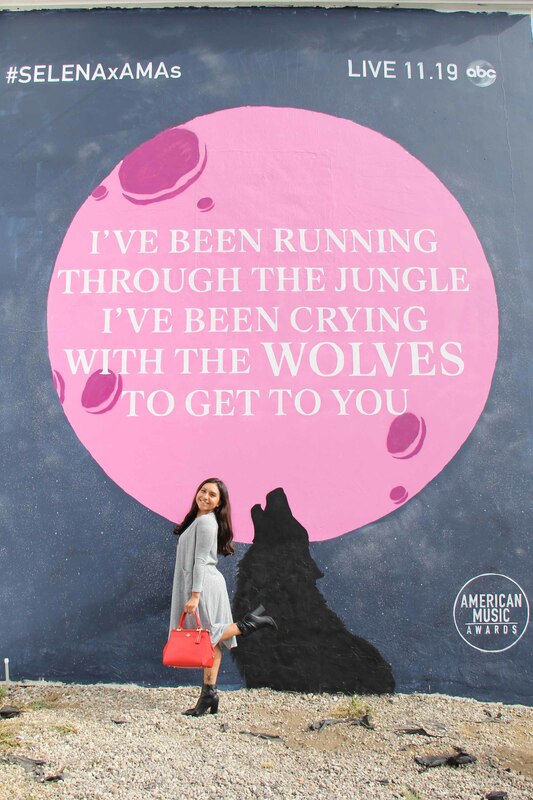 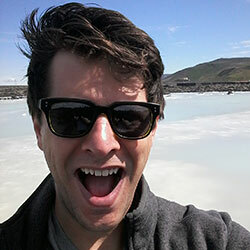 Writer, possible one day AMAs winner obsessed with all things music and movies.